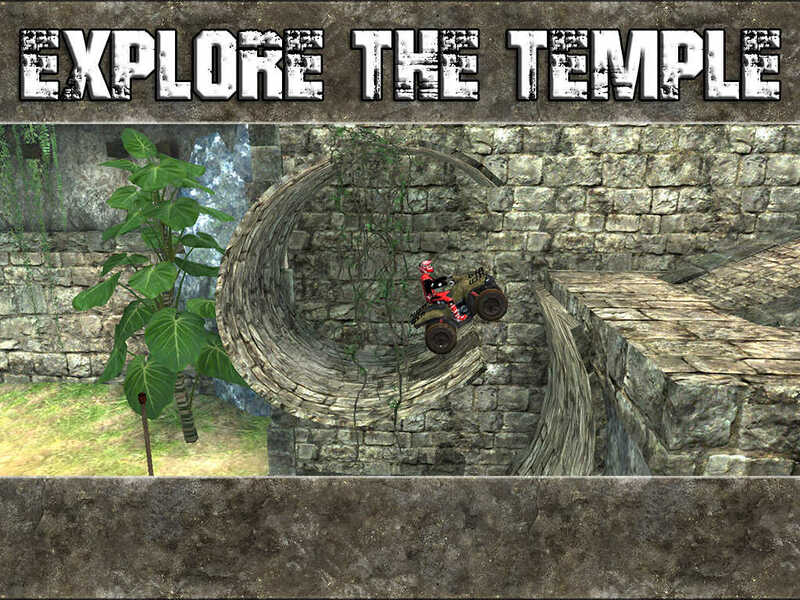 ATV Temple is a brand new 3D atv/quad bike game where you have to reach the end without crashing. 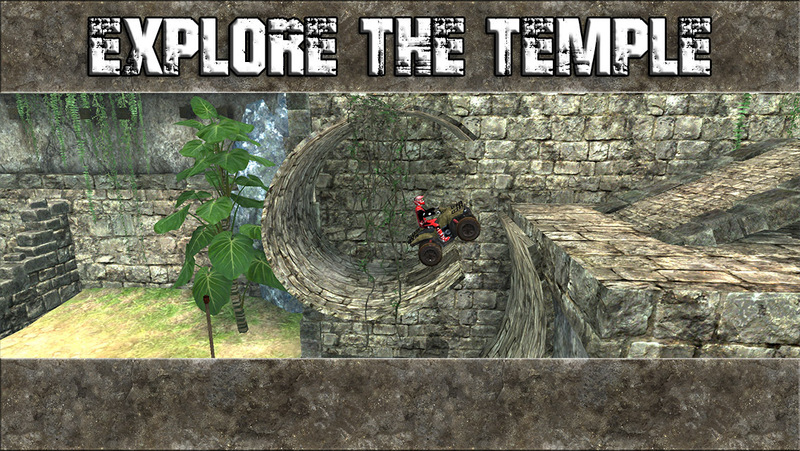 10 challenging levels set in jungles and ancient ruins. 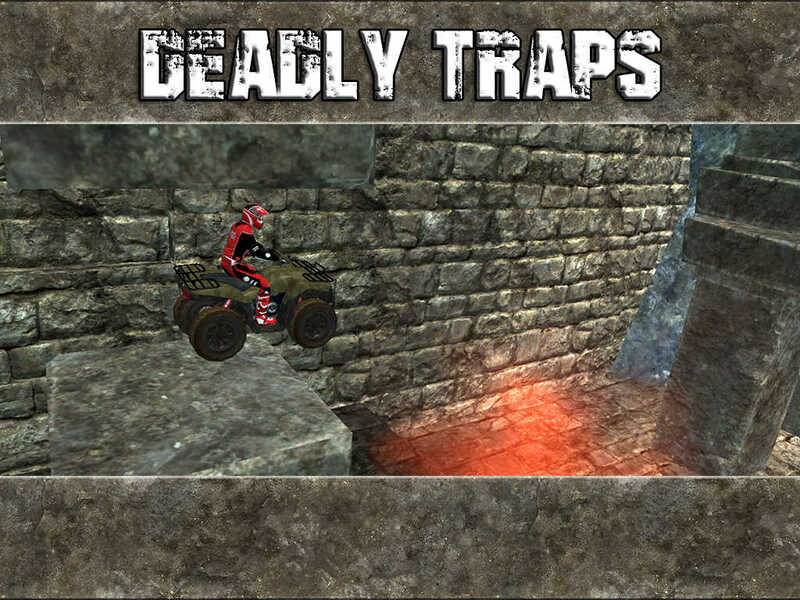 With jumps, falling rocks, bridges, loops and moving obstacles you'll find plenty of challenges as you steer your bike to the finish line. Fixed level 3 & level 5. Improved bike physics. Added level skip button.